"Archduke Trio" by Morehead State University. Office of Communications & Marketing. 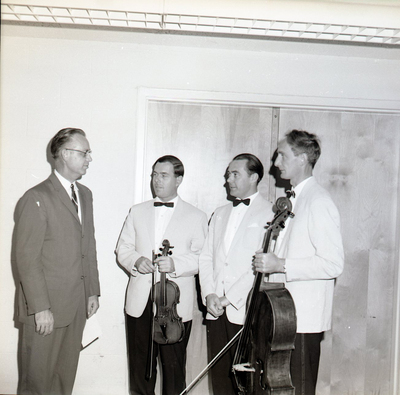 Archduke Trio in concert at Morehead State University on July 10, 1967 at Baird Music Hall featuring Kenneth Page on violin, James Walker on piano, and Oliver Brooks on cello.